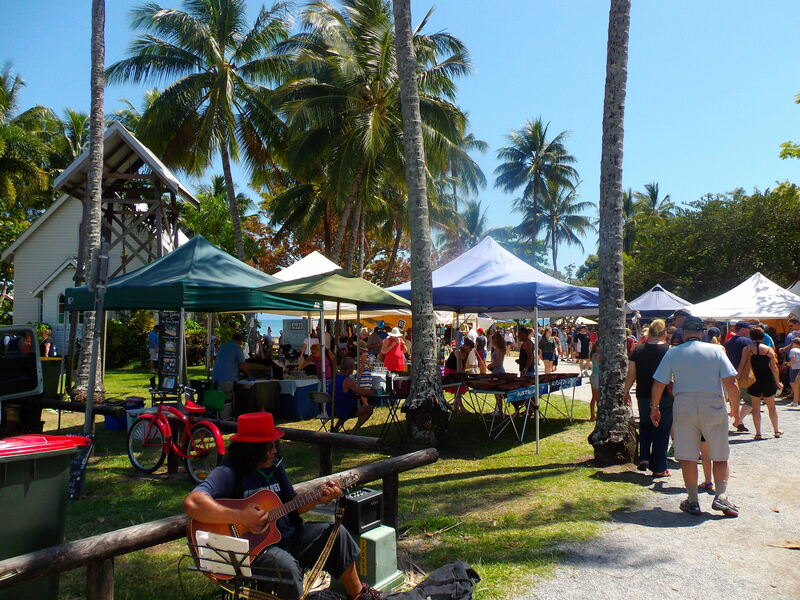 The famous sunday markets have been a tradition of Port Douglas for many years. Experience for yourself the markets held every sunday at the park, located on the corner of Maccrossan St and Wharf st. Right next to the beautiful beach, and river, making it an ideal location to browse what is on offer. You will have fond memories and a chance to bring a part of port home with you. Don’t forget to see the famous coconut face radios for sale! You may also find useful our Maps page and see above for further information about the markets and other attractions.